It is often debated what time during the year would be the best season to have your carpets professionally cleaned. As a rule of thumb, carpet cleaning is generally most effective during spring time, however, that doesn’t mean you need to go the whole year with dirty rugs! If your rugs enjoy a lot of foot traffic throughout the year, it’s definitely recommended to have it professionally cleaned more regularly than only during the spring time. Ideally, it would be nice to have fresh, clean carpets all the time, right? Many people tend to think to just wait out the nasty weather winter and all its associated grime and dirt. That way they can target all the sand, salt, mud and grime with one swoop and have the carpet ready for an inviting and exciting spring. That makes sense if you wear shoes in your home. Now let’s look at this from a different angle. You walk around in your home every day. You live there, trek in dirt from outside, despite your best efforts. Your pets and kids bring in the outside with them, school bags, handbags, computer bags and shopping bags all contribute to bringing in dirt too. 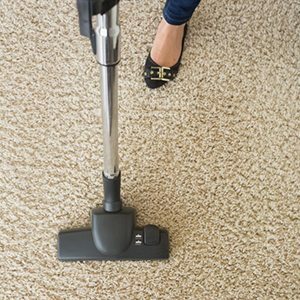 So you need to think about professional carpet cleaning throughout the year to pull off an inviting, hygienic and clean home. At Floor King Solutions, we have worked hard to become Gauteng’s foremost flooring solutions provider. We install various types of flooring, and offer commercial and residential expert carpet and upholstery cleaning services. Our team also supplies blinds, and offers a professional installation service. Over the years, we have also streamlined our service offering to accurately address all our clients’ needs. To learn more about our company, and for all the information you need to make an informed choice about your carpet cleaning needs, speak to our team today. We are ready to provide you with the answers you need to make a confident decision about keeping your carpets clean and fresh all year round.